Winter is fast approaching and it’s time to get cosy. Cosy equals candles. At least it does this week, because I had left over spray paint from my mat making, and I really like spray painting things. Like really like it. In an unhealthy way. 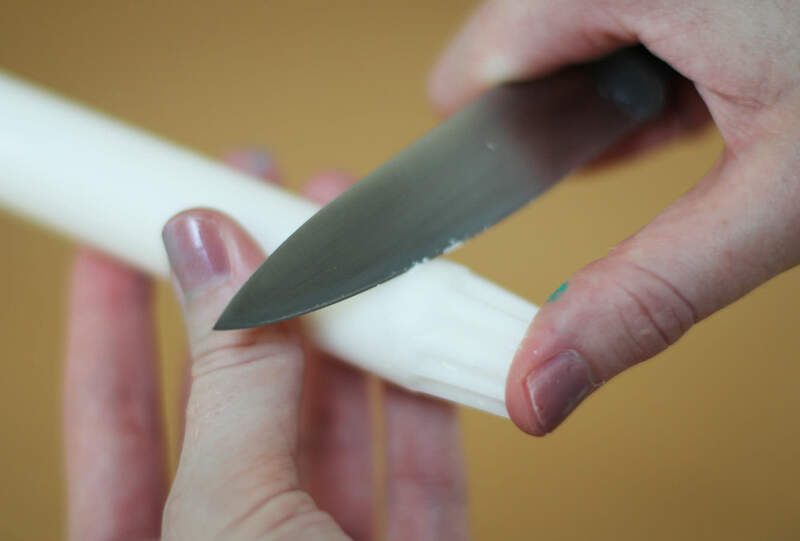 This is a pretty easy quick make, and is satisfyingly effective. I recommend it for adding a bit of pizazz at a dinner party or even for sticking a couple of flower stems in rather than candles. If your bottles have labels like mine did then you need to pour boiling water over them to soak alla that off. They drink a lot of posh juice at work so I got these bad boys for free. You could also buy some from the home brew section of a Lakeland/Wilko’s; if that’s you, advance to step three and collect £200 as you pass Go. 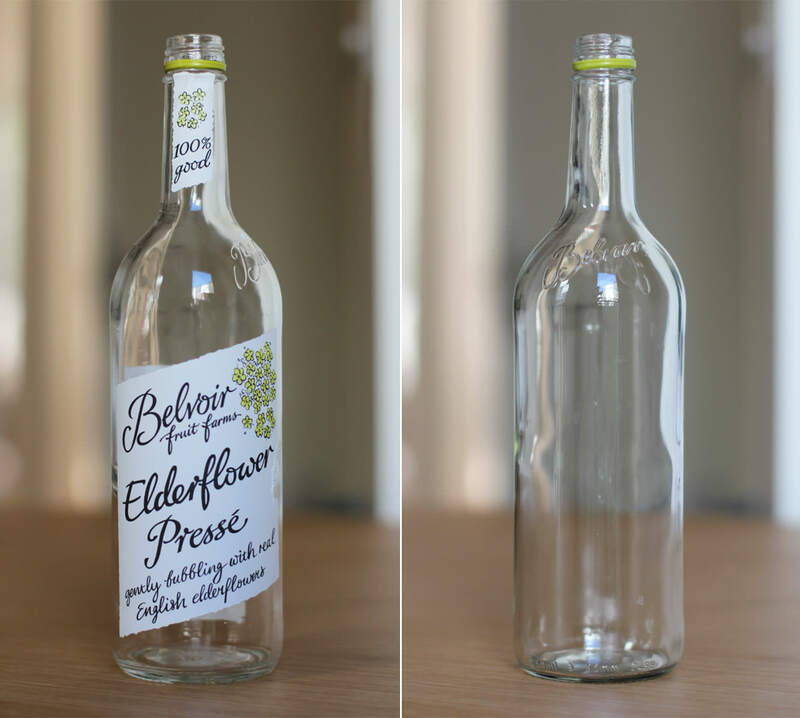 If you’re using recycled juice/wine bottles then stick a little screwdriver or a knife in the metal bit and prise it off. It’s worth not being lazy and skipping this step. 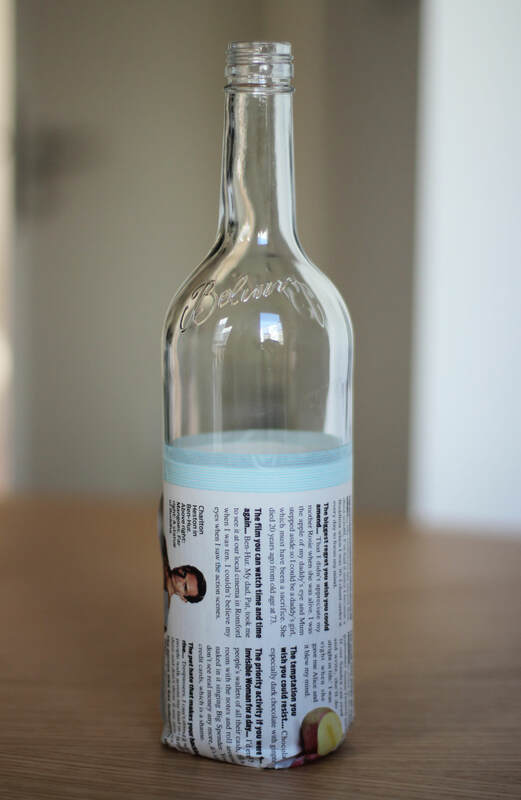 Wrap the tops or bottoms of your bottles in newspaper, securing it with wash tape or masking tape which would be a lot cheaper if you have it to hand. As you can see, I didn’t. The more care you take over this the better as you want the lines to be as straight as possible. Otherwise your OCD friends won’t enjoy your company at your dinner party; they will be too distracted by your wonky candle holders. They will be totally justified in this. 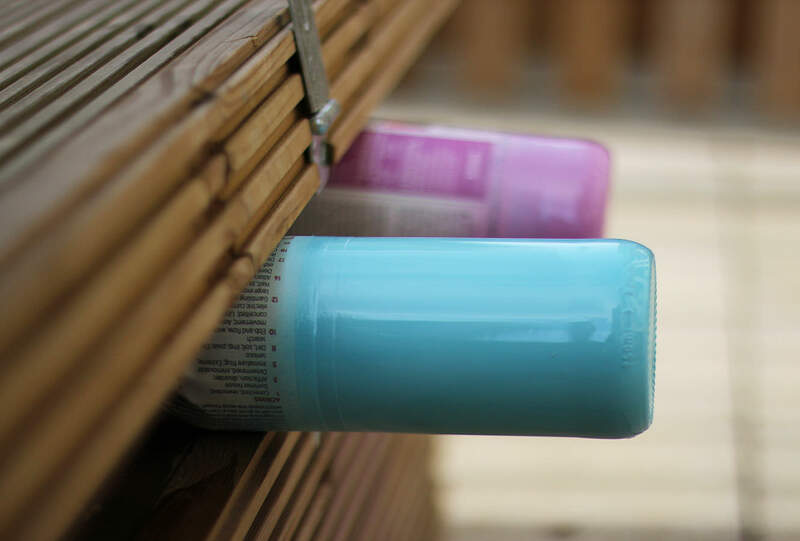 Shake the can of spray paint and hold about 20cm/8 inches away. 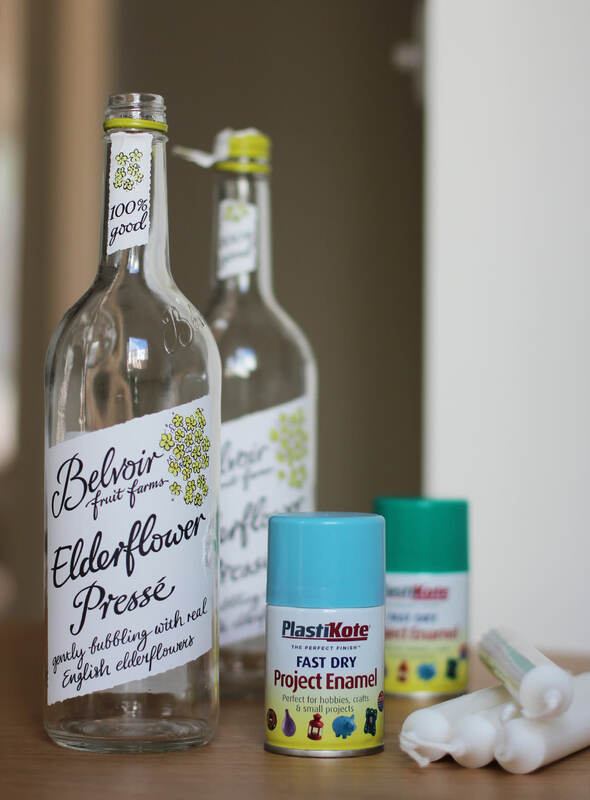 Spray thoroughly until the bottle has an even, opaque colour. If you’ve wrapped the top of the bottle rather than the bottom, I found the easiest way was to hold the neck in my hand and spray while holding it. In order to dry it you need to find something to wedge between so it’s sides/the bottom won’t touch anything else. You could just hold it as they don’t take long to dry at all, but I found this storage chest/bench in the garden was just the ticket. 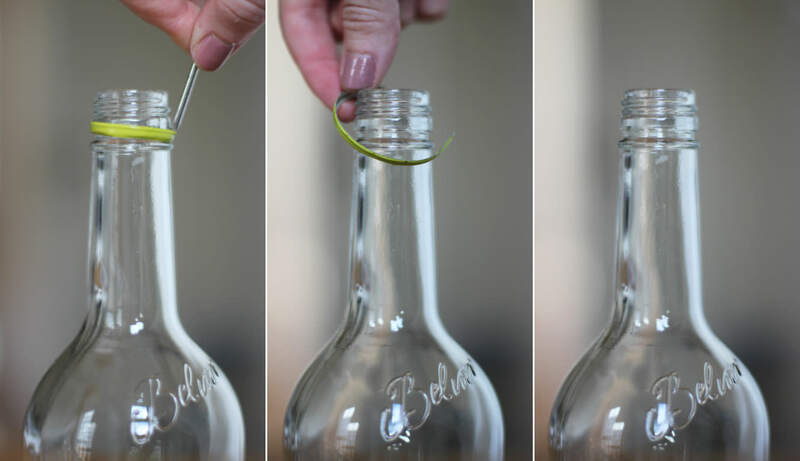 Whilst your bottles are drying you might need to do a little candle whittling. Mine had really handy grooves in them already but unfortunately were still a little on the large side, so I had to trim them down. Just for the sake of everyone who knows how clumsy I am and would reel in horror at this picture, I still have all ten digits. 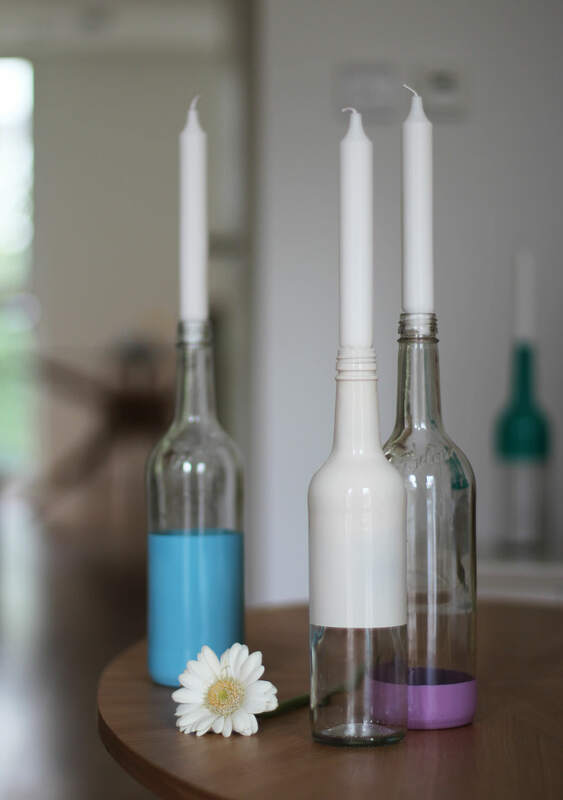 Push candles into the bottle necks and admire. Having been ticked off by one of my nearest and dearest for producing too much food and not enough craft on the blog lately I thought it was about time I sorted that out. Plus, I’m a little bit scared of her. Having noticed the doormats along the street were pretty much all exactly the same, and needing to acquire one, I thought of this little make. My housemate provided the rather excellent pun for ours, I can’t take the credit for that. This could double as a housewarming gift or wedding present too if you’re a bit strapped for cash and want to give something unique and homemade. 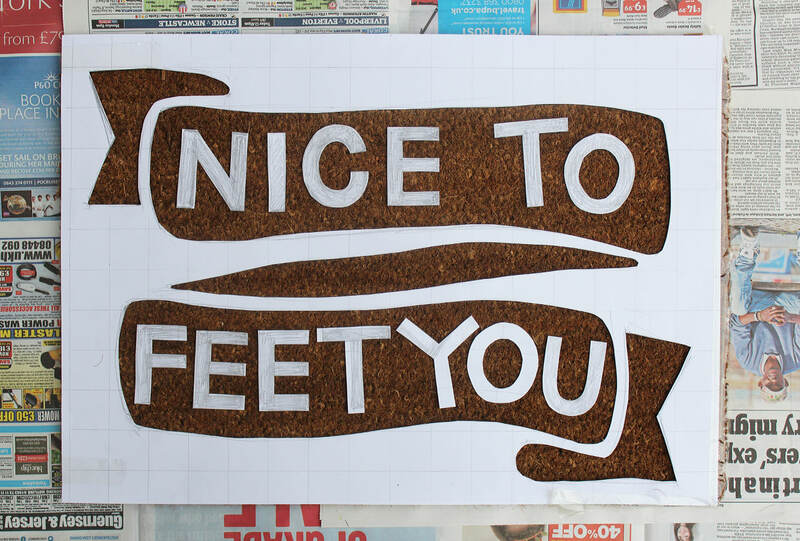 A sheet of paper or newspaper as big as the mat. 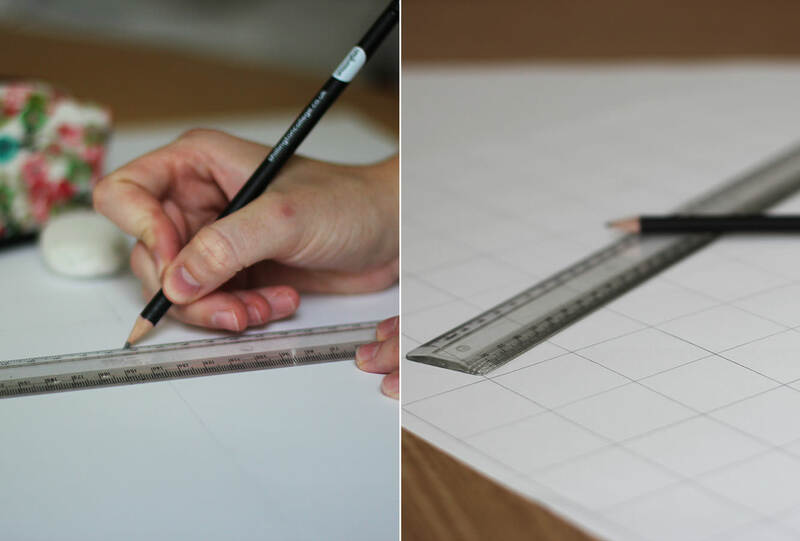 Draw a grid on your big sheet of paper. 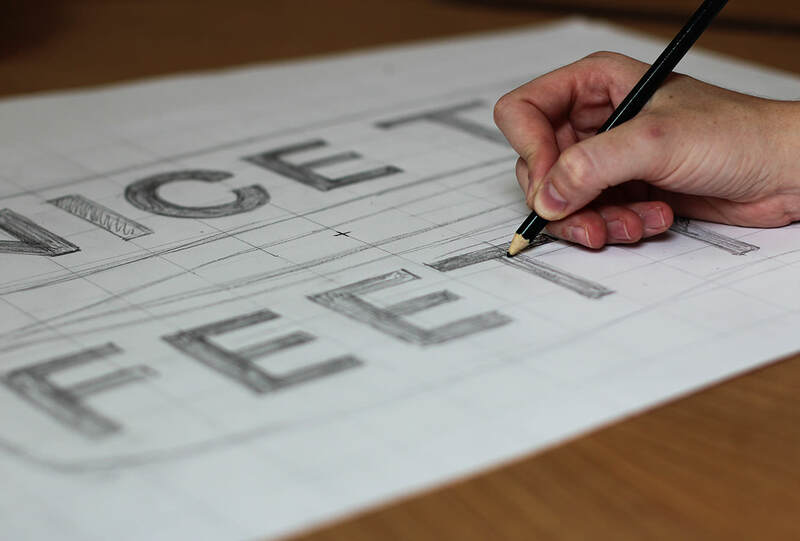 You are going to use this paper as the stencil; the grid will help you centre your design evenly and space everything out well. You don’t absolutely have to do this, but I recommend it. I just used the width of the ruler. 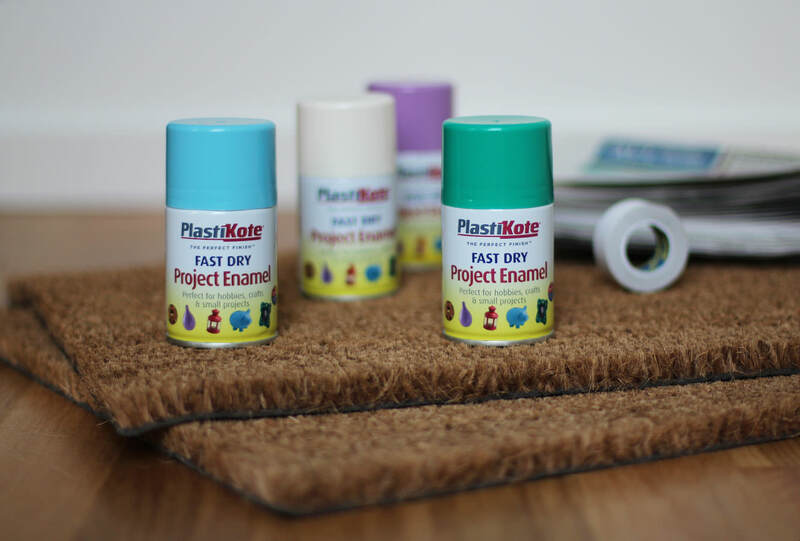 Have a think about what you want to be sprayed and what will be mat coloured. If, like me, you are spraying the background and leaving the letters the colour of the mat make sure you keep them fairly bold and chunky. The spry has a nasty habit of creeping underneath. 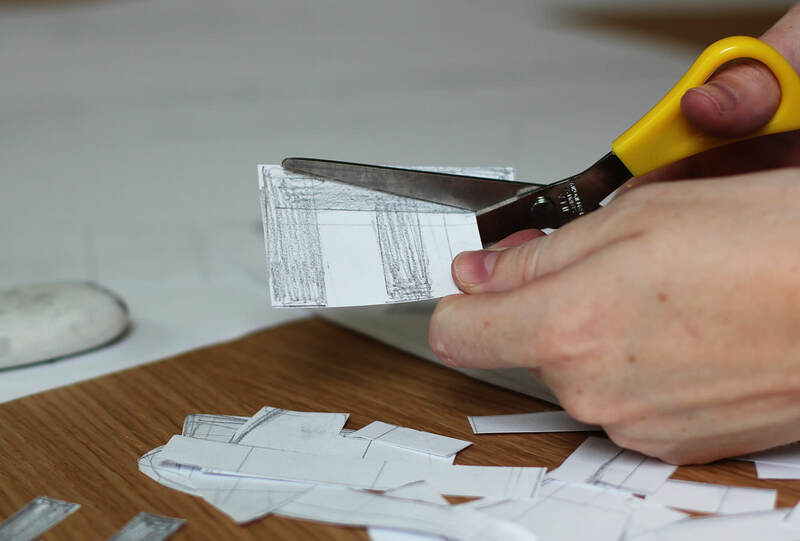 Cut out your design, leaving everything that’s meant to be mat coloured in tact and leaving gaps where the spray will go. Go outside and lay out newspaper on an even surface. 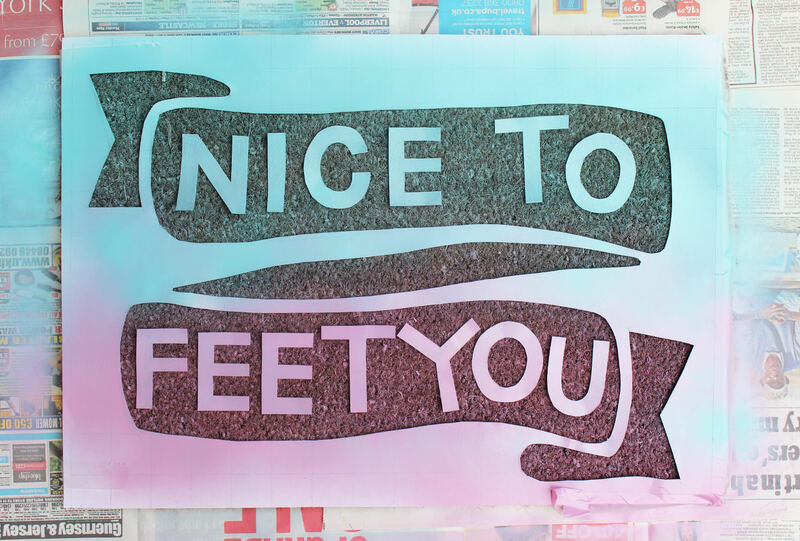 Place the mat on top and arrange your stencil. I used double sided tape to secure the letters. I won’t lie, this didn’t work perfectly as they did still curl up a little, but I couldn’t think of a better solution – blu tac would have stayed in the bristles of the mat. Spray away. Keep the can about 20cm away from the surface. I used two colours and sort of merged them in the middle. Leave to dry and add another layer or two until the colour is quite pronounced. As you are most likely spraying onto a brown mat it’s unlikely you will get it totally opaque. Try to choose colours that are light and bright or really dark. The lilac colour didn’t work quite so well, so I sprayed some white on top to brighten it up a bit. The blue was good, and I think yellow might work well too. Bring a smile or a roll of the eyes to your post man’s face.